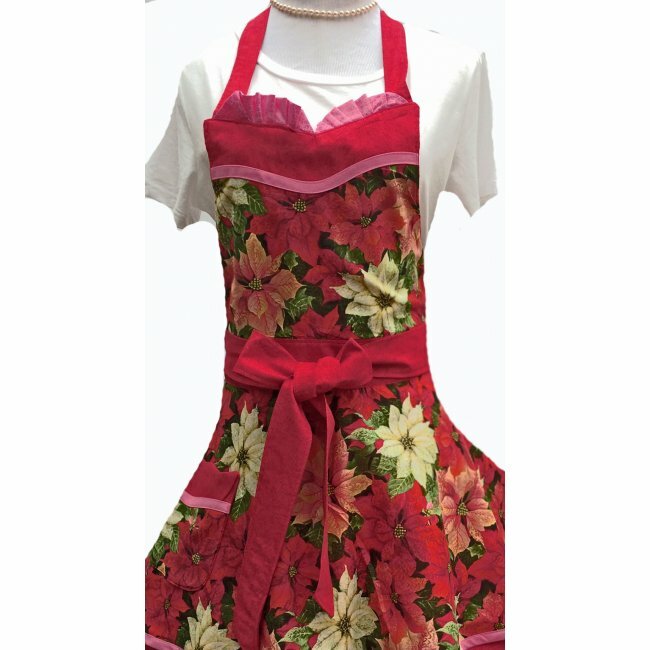 Prepare your family meal in this beautiful poinsettia Christmas apron. The beautiful poinsettia apron features red and various pink colored poinsettias. 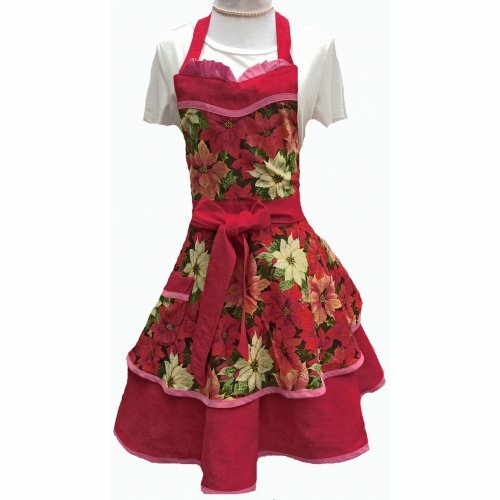 This two tiered skirt apron has a dark and rich red bottom skirt, with the poinsettia print for the upper skirt and bodice. We trimmed the apron with bright pink bias tape. In addition, we created an unique style bodice with a scalloped edge and pink ruffle. The single pocket also reflects the dark red print which has been trimmed with the pink bias tape. The pocket also features our unique scalloped top edge. The red print is a deeper shade of red than depicted in pictures. It is simply beautiful. 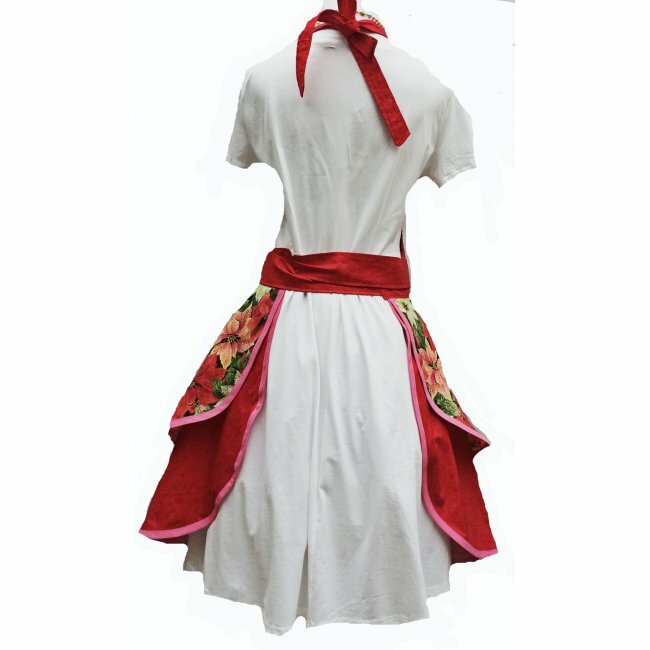 Apron has a full skirt finished off with narrow pink bias tape. The waist ties are long enough so that it can be tied in front or in the back. Waist measures 28 inches, which does not include the ties. The neck straps are adjustable and are tied in the back.